Two men have been sentenced to a total of ten years in prison after a Northumbria Police operation to tackle illegal drugs. 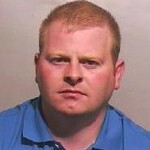 33 year old Andrew Etchells of Southlands, Eighton Banks was given four years for conspiracy to supply a class A drug. 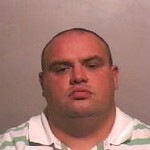 30 year old Iain Foster of Portree Close, Barley Mow was given six years for conspiracy to supply a class A drug. Both men had previously pleaded guilty to the charges. The operation, codenamed Duke, led to officers recovering over 1kg of heroin during searches in Felling in July last year. "Our aim is to seek out those involved in drug-related activity and prevent illegal substances getting out onto our streets. "We welcome the sentences brought today and it is an excellent result for the team. "It shows we use information and intelligence to locate those involved in drugs and will take robust action. We continue to carry out operations across the force area to combat drug-related crime."